Larkin Bros. the largest turkey farm on PEI pride themselves on their high quality turkeys and value added products. Turkeys are grain fed medication and antibiotic free and do not contain animal bi-products in the feed. Be sure to look for Larkin Bros. products at locations across PEI including the Charlottetown Farmers Market on Saturdays from 9am-2pm Sobeys, Superstore, ADL Foods and Larkin Bros. Farm location (2565 Glasgow Rd.). Tours available by reservation. Product also available at 20526 TransCanada Hwy, Crapaud. 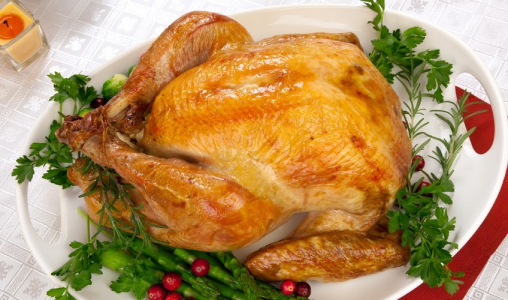 Products: Fresh and frozen turkeys, fresh and frozen chickens, ground turkey, smoked turkey breast, bone in breast turkey, turkey legs and turkey thighs, turkey sausages and turkey meatballs. One-of-a-kind hands-on culinary experiences! Our small classes allow you to learn about different Island foods and see first-hand how they are grown and harvested before joining our Chef in the kitchen to create an amazing meal. Whether we have live demonstrations in the Studio or take a trip to a local farm or fishery, you will have an unforgettable and fun experience. Your “catch-of-the-day.” Many loyal customers and numerous markets and restaurants rely on Doiron Fisheries for just that. Fresh off the dock with a huge variety of fresh seafood including lobster, crab, shrimp, scallops, mussels, clams, oysters, halibut, salmon, cod, hake and haddock. Seafood lovers simply won’t be able to contain themselves - why bother?